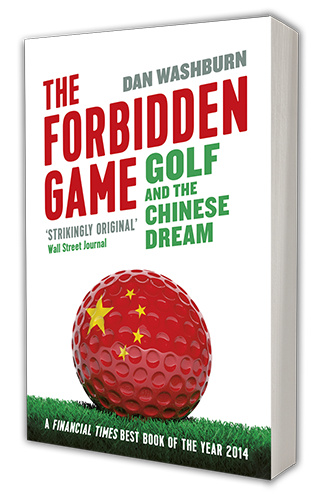 Government officials keen on joining golf clubs often do so under false names, wary of being perceived as corrupt or out of touch, according to Dan Washburn, author of “The Forbidden Game: Golf and the Chinese Dream”. Washburn pointed out on Twitter that the closure announcement came days after news that US star Tiger Woods was to be paid $16.5 million to redesign a course in the capital. “What a country!” he added. China crackdown shuts 66 golf courses http://t.co/E1xUDP2Vo6 Tiger to get $16.5m for Beijing redesign http://t.co/hYC4TtD86e What a country! Filed under Blog, Featured. Tagged afp, crackdowns, press, quoted.